Written By: Frank Eisgruber Jr.
Of all the characters introduced by the pulps, no one was more popular or more influential than The Shadow. No other character so captured the interest and imagination of the American public during the thirties and forties. 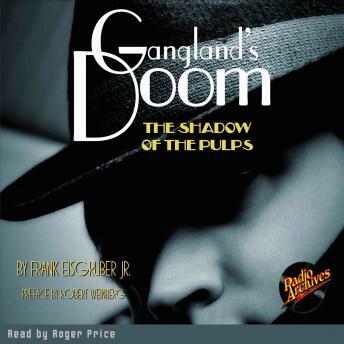 From the radio to the pulps back to the radio The Shadow was the dominant fictional character of the time. But what exactly is the background of this mysterious fighter for law and justice? Frank Eisgruber Jr. is a devoted Shadow fan who owns a complete set of the magazine and has written extensively for pulp fiction fanzines. He has read every The Shadow novel a number of times and has extensive notes on the entire series. This audiobook is a result of his studies.